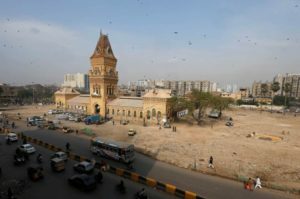 The modernization of Karachi‘s old downtown is one of a string of projects aimed at revitalizing Pakistan‘s largest city and economic powerhouse. 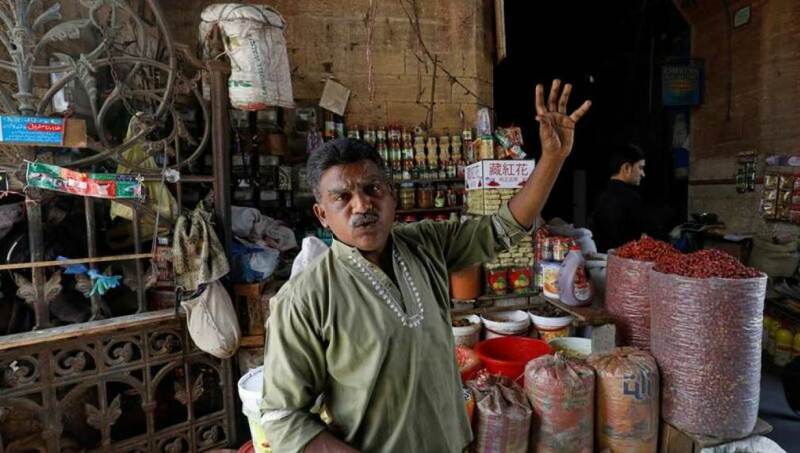 At a historic market commissioned by Queen Victoria in Pakistan’s southern metropolis, third-generation spice seller Mohammad Shakeel Abbasi (photo above) complains that a move to clear illegal encroachments has left poor shopkeepers jobless. “My own business has been cut in half,” said Abbasi of the modernization drive ordered by the country’s Supreme Court in January to clean-up large swathes of the city’s historic centre, which he says has driven away so many vendors that fewer people now visit the area. 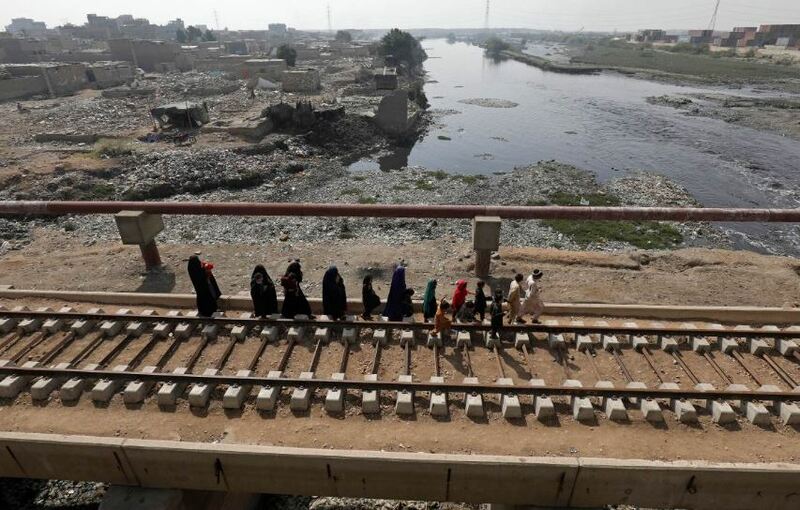 On March 30, 2019, Prime Minister Imran Khan announced the allocation of 162 billion rupees ($1.15 billion) for Karachi’s development, to be primarily spent on transport and sewage projects. “We need to make a master plan for Karachi and define the limits of the city and whether it will expand beyond its current area,” Khan said. But more than 50 years later, the city’s infrastructure has failed to keep pace with a population that has sky-rocketed more than 300 percent, leaving many public services such as health, transport, and water either provided by an informal private sector or controlled by organised crime. The city nevertheless remains key to Pakistan’s shaky economy, now on the verge of its 13th IMF bailout since the late 1980s, accounting for 20 percent of the country’s gross domestic product (GDP), according to World Bank figures. In 2013, the national government of then-Prime Minister Nawaz Sharif gave free rein to the paramilitary Rangers for a sweeping crackdown on criminal gangs. The once fashionable part of town, now lined with crumbling colonial-era buildings, is a transport hub for nearly 20 million residents. Every day, an overcrowded network of private buses and vans cart thousands to and from work in the bustling downtown. The federal information ministry did not respond to a request for comment. Karachi’s administration has been dominated for decades by the Mohajir Qaumi Movement (MQM), which has traditionally drawn support from the descendents of Urdu-speakers who migrated from India following partition in 1947, but had little following beyond the city. The MQM was involved in bloody factional battles in the 1990s and 2000s and was accused by opponents of running the city like a mafia fiefdom, allegations it denied. It has come under increasing pressure since the crime crackdown, which saw the party split into several factions. As a result, the city’s politics are now more competitive, but also more fragmented. None of this is any comfort for Karachi’s long suffering commuters who are forced to trudge through hours of traffic on their daily commutes, as the city’s main traffic artery comes to a complete standstill during rush hours. 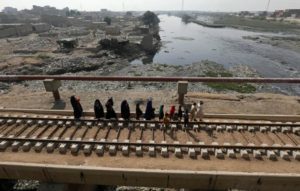 “With the non-serious attitude of all the parties involved, I don’t see the project taking off for the next two, three years,” a senior bureaucrat, who asked not to be identified, told Reuters. Featured photo of Mohammad Shakeel Abbasi in the Empress Market building courtesy of REUTERS/Akhtar Soomro. This article by Saad Sayeed (edited by Alex Richardson) was originally published by the Thomson Reuters Foundation on their PLACE website. Reprinted here with permission.